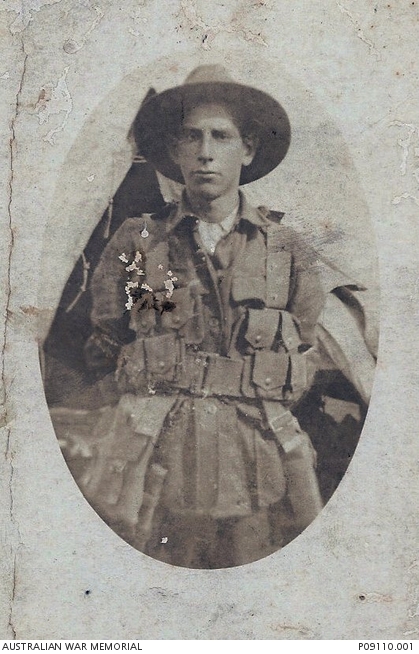 Studio portrait of 4442 Private (Pte) Jack Hardisty, 17th Battalion, of Leichhardt, NSW. A blacksmith’s striker prior to enlisting in January 1916, Pte Hardisty embarked from Sydney with the 11th Reinforcements on board HMAT Nestor (A71) on 9 April 1916. He was killed in action at Passchendaele, Ypres, Belgium, on 9 October 1917. Pte Hardisty was 19 years of age.